In the last few years life insurance companies are aggressively marketing unit link insurance products. But many of us do not fully understand what unit link insurance is and how it works. So when people have already bought this type of insurance often experience disappointment when knowing the cash balance is not in accordance with the illustrations made by insurance agents at the time of product offerings. Of course the seller whose name strives to highlight the advantages of the product. In the illustration of unit linked insurance quotes, generally the value of investments is displayed up from time to time. In that case, every investment always carries risks. Remember: No investment without risk, no riskless investment, whatever the form. It is important to remember that insurance is a product purchased. Consumer purchases are costs borne by consumers. Certainly in accordance with the benefits gained. Uniquely, insurance provides benefits when the insured suffered death, permanent disability or illness. And who enjoy the benefits not the insured, but the heirs such as their wives and children. Mutual funds are cost-laden investments. Why? Because the money you plant is managed by someone else (investment manager). Is it free? Obviously not, it's all cost. Then what is the advantage? You do not have to bother to analyze interest rates on deposits, Bank Indonesia Certificates, stock prices, and money market movements. Simply receive a report on the development of funds invested and pay the cost. However, in my opinion, the customer should follow to monitor the development of unit link prices. When insurance and mutual funds run together, the cost of both products will automatically reduce the cash value of the premium you pay. Insurance fees and mutual fund management fees. 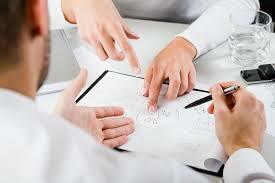 Insurance costs consist of several components, as well as mutual funds. Not to mention the risk of falling interest rates and stock prices that resulted in the fall of unit links. But great, insurance companies will keep your unit link prices up. Of course there is no guarantee, but the company will work optimally. But most importantly, once you have a unit link product, you are the one who must monitor the price progress. because, you are given the right to switch or transfer investment to the most profitable investment group. It is important to remember that in the first 5 years, the cost of insurance is very high, so the money in the cash balance is only a mutual fund or unit link which has also reduced the unit link costs as well. For example, a premium of 200,000 plus units lnik 100.000. 80,000 cash balance remaining. Why? Because you buy insurance and pay unit link investment costs . If within two years there are customers who are 'exhausted' paying unit link premium insurance, then the cash value will be deducted to pay insurance premiums. Well, this is where many customers protest, why "their money is lost".